Comics Unmasked, the new exhibition at the British Library in London, has opened to great acclaim, offering the first chance to see the British Library’s extensive comics collection, as well as original artwork and scripts from names such as Neil Gaiman, Posy Simmonds, Alan Moore, Dave Gibbons, Hunt Emerson, and Bryan Talbot. The exhibition is the largest to have ever been held about British comics and comics creators. 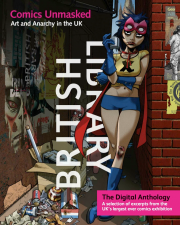 Now, for those across the globe unable to get to the exhibition, or for those who just want to see more, the British Library has partnered with digital comics developer SEQUENTIAL to provide a free anthology for iPad, based on the content of the exhibition. 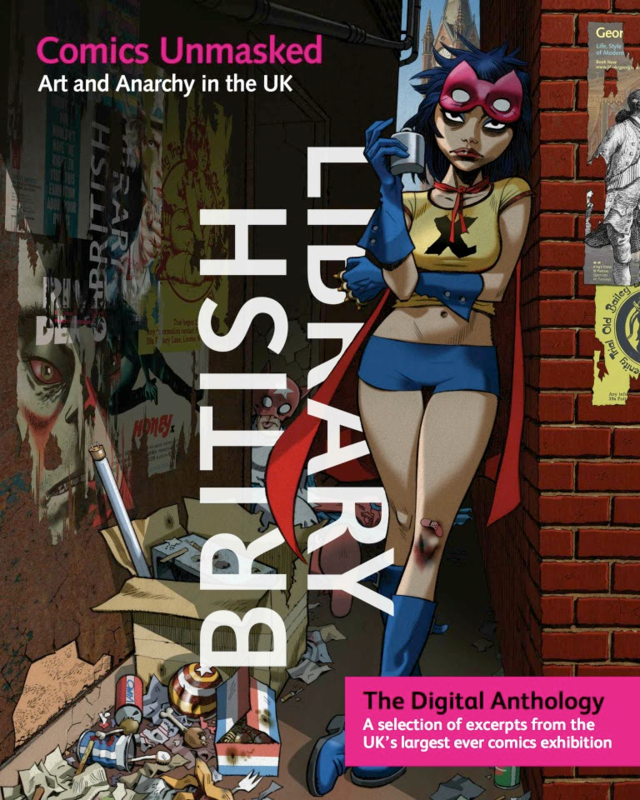 The anthology includes excerpts of work by many of the star names from the exhibition such as Alan Moore, Bryan and Mary Talbot, Dave McKean, Pat Mills, and Dave Gibbons, as well as rare comics such as The Trials of Nasty Tales and sequential art from centuries gone by such as Ally Sloper and A Harlot’s Progress. The anthology will be available for the duration of the exhibition, which runs until August 19th. Due to the explicit nature of some of the content the app is only suitable for those age 17 and over.